The modern era of technology continues to offer the ability for companies and organizations to streamline their workflows, become more efficient and profitable, as well as extend the reach of their potential business. The changing landscape of technology in construction is continuing to shift and adapt to the competitive needs of this billion dollar industry. Colasanti has been working on continuing their 66 years of success by integrating iOS devices to assist their field employees across the country. Read below to see why they felt the need to bring more technology to their day-to-day operations, the success they have had with it, and how they have managed those devices without having an IT person need to “physically touch each one” using Jamf Now. Colasanti is a construction company based in Michigan, providing services in 25 states across the country. 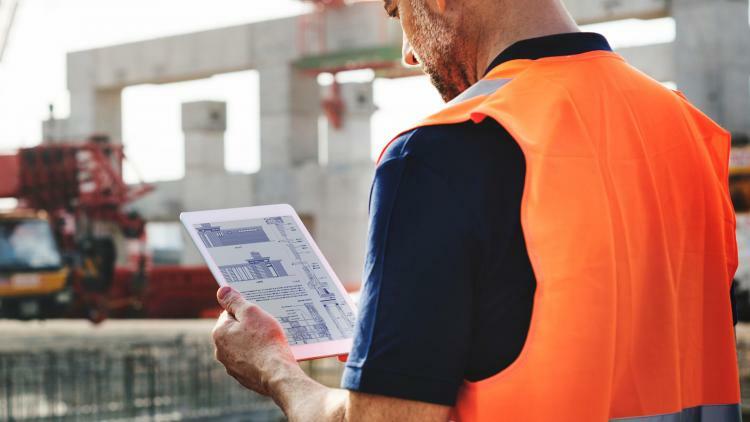 Field employees are issued iOS devices that allow them to work more efficiently on the job site and stay connected with the rest of the company. Will Kosnik is the sole IT person for the company and because time is limited, ease of use and efficiency are important when it comes to device management. Most of Colasanti’s employees are in the field on a day-to-day basis, all across the country, so Kosnik needed a seamless way to make sure each device had company email, Wi-Fi, the necessary apps, etc. Jamf Now provided a way for Kosnik to get all Apple devices up and running and keep them updated without having to physically touch each one. “Jamf Now has been a huge help since we were introduced to it a few years ago. I can now manage apps, emails and restrictions from one singular point, and even remotely erase a device if it’s been stolen. It gives me complete control over the 100 devices that are located all across the country. What used to take hours on the phone or even trips on a plane, I can do in a few minutes on my web portal,” said Kosnik. Jamf Now was built from the ground up to do the heavy lifting of device management, so administrators don’t have to. Many people find themselves trying to setup, manage and protect their company’s Mac, iPhone, iPad and iPod devices manually. Jamf Now is a simple, intuitive way to manage Apple devices, and help people take back their nights and weekends. Colasanti is just one example of over 1,000 companies in the construction industry that have trusted Jamf Now to help manage and protect their Apple devices, streamline their workflows, and help their company succeed using Apple. The continuing growth of newer use cases, functionality, and applications keep Jamf Now striving to help each and every one of those companies find success with their Apple technology.